This is a rectangular Federation Overalls porcelain sign. This particular Federation Overalls sign is predominantly white with blue text. 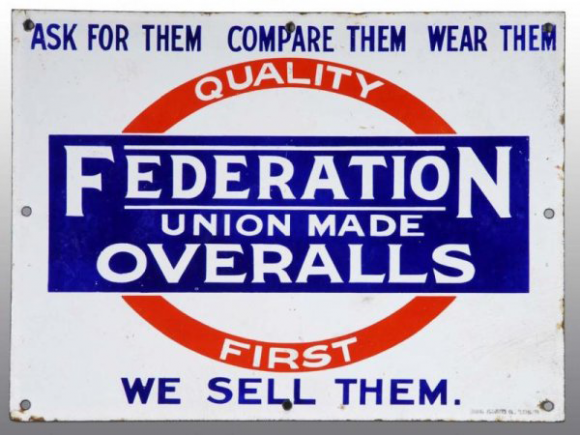 It reads, “Ask For Them, Compare Them, Wear Them, Quality First, Federation Union Made Overalls, We Sell Them” and features a blue rectangle in front of a red circle outline in the center.